Designed for premium street driving offering better brake effect at loads and speed. EBC Greenstuff has a high initial brake effect and gives drivers confidence from first application of the brake pedal. 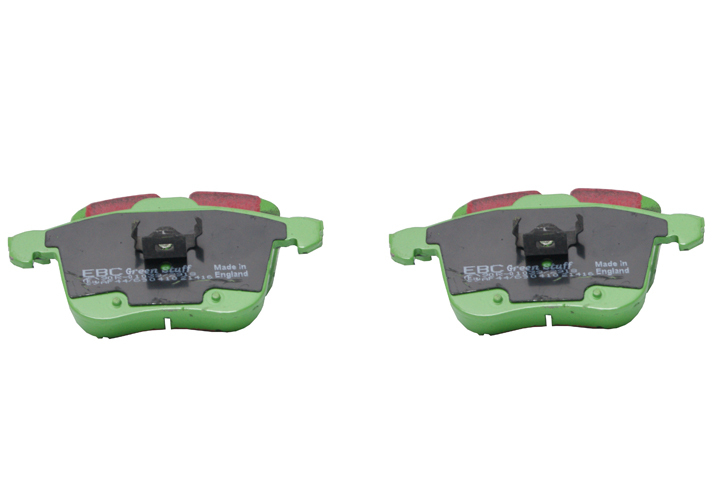 Capable of stopping a motor vehicle 9 meters shorter than standard OEM pads. All EBC Green stuff pads feature EBC's Brake-In technology, this is a mild abrasive red coloured coating applied to the surface of the pads. It helps reduce bed-in time significantly and lightly scrubs the brake disc after new pad installation allowing optimum braking to be achieved faster. For heavier faster cars and vehicles above 200bhp we strongly recommend the use of EBC Redstuff pads.